Contemporary and sleek to the core, the Lafayette Chair will add elements of simplicity and flair to any modern interior. 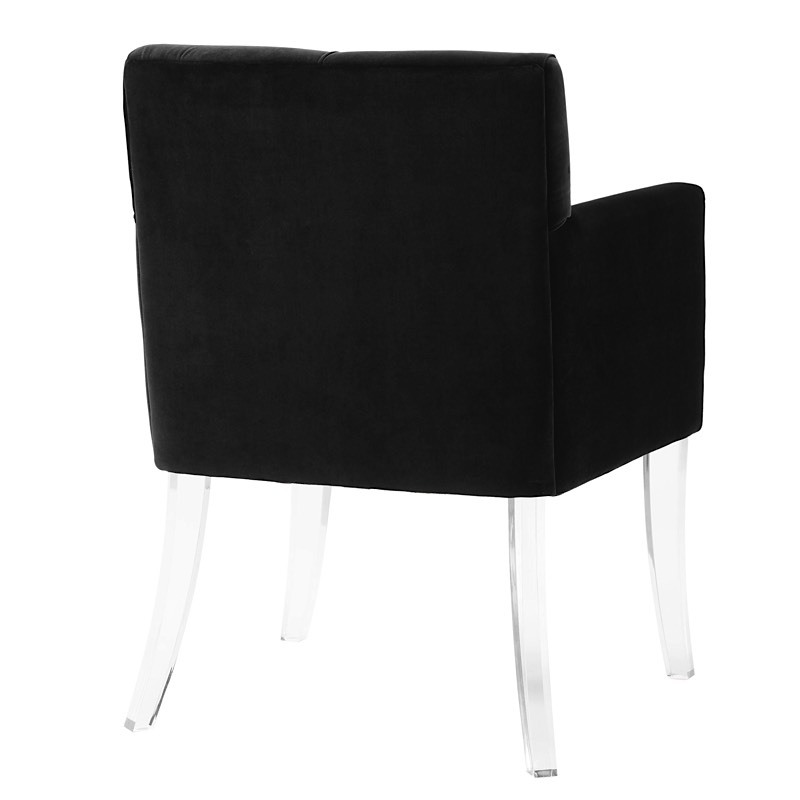 Upholstered in Black Velvet and supported by tall, Acrylic legs, these comfortable chairs will forever be a favorite. 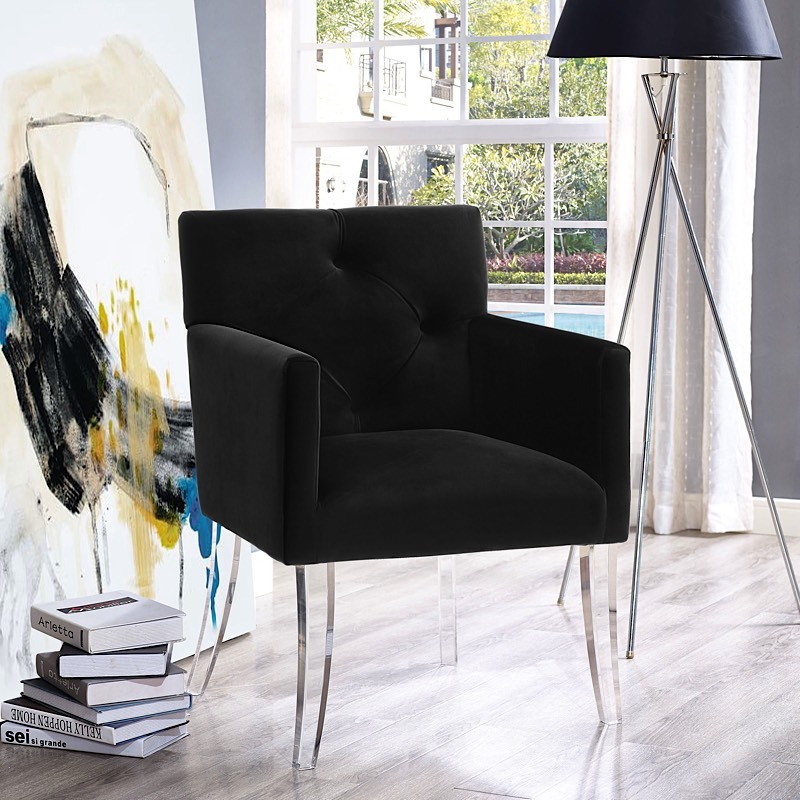 Each Lafayette Chair is handmade by skilled furniture craftsman with a solid wood kiln dried frame top and button tufted back. 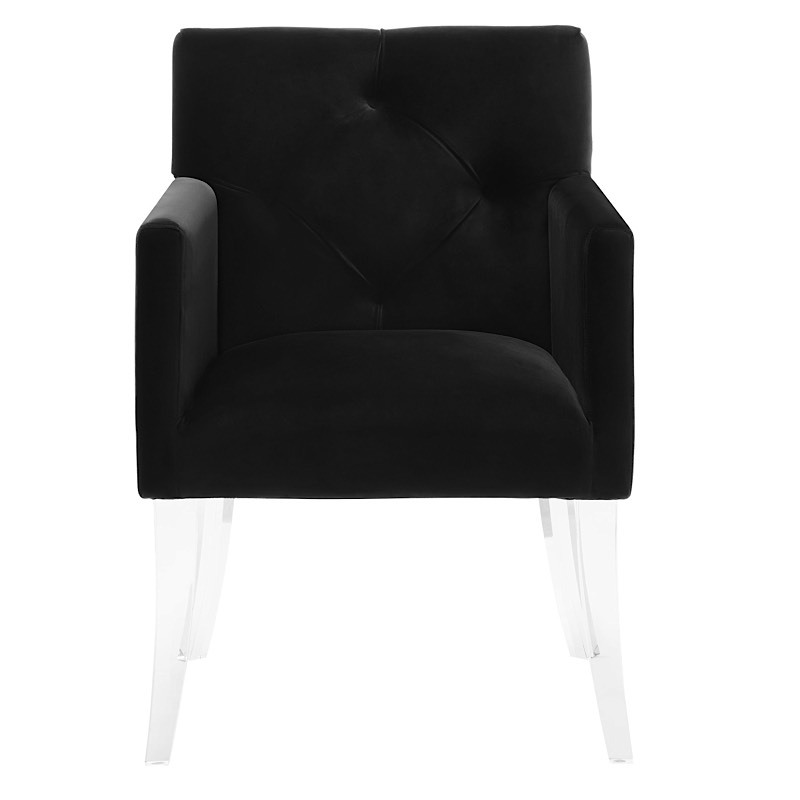 Perfect as a side chair in the living room or your modern office. 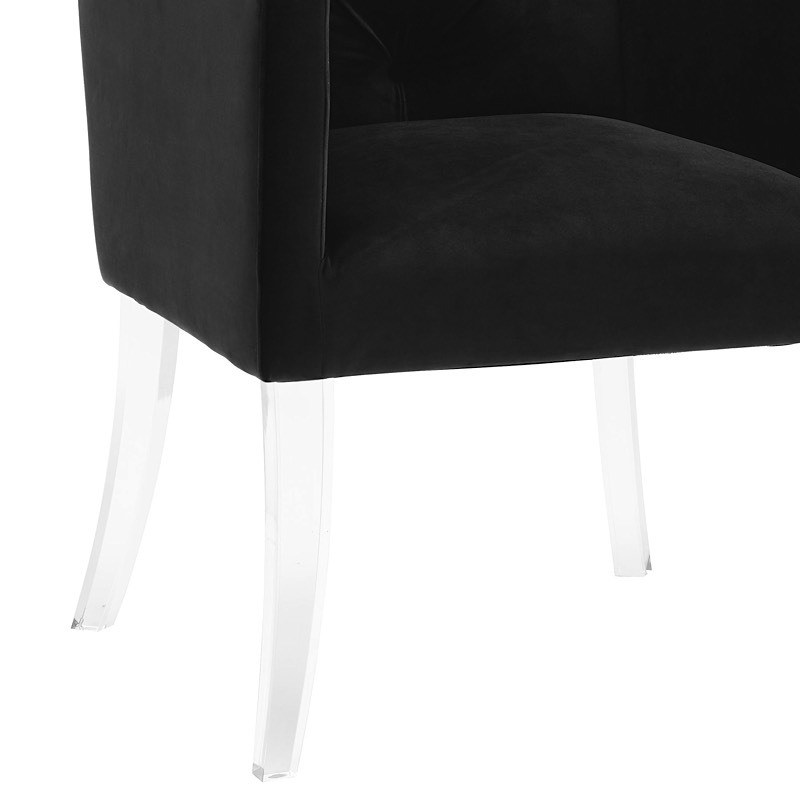 Lafayette can also be used as an elegant arm chair in the dining room. Seat height is 20.5"; seat with is 19.3".